Modern life is filled with modern conveniences, but our modern work-spaces can also cause minor (and major) physical problems. In decades past more people earned a living with physical labor, today more people sit in front of a computer screen for their 8-hour (at least) work day. We look at some common office-related ailments and what you can do to minimize your risk of being affected. Unheard of in years past, “tech neck” is a catchy name for a growing and painful problem. Caused by the position of the head and strain placed on the neck, ultimately those with tech neck suffer pain and discomfort in their neck and even into their shoulders. Think about the position you hold your head in when on your computer, watching TV at home, or scrolling on your smart phone; it’s often a tilted, downward position that can cause tech neck. The Fix: Pay attention to your posture! Ideally, at work have your computer screen/monitor placed at eye level so you’re not stretching or bending your head to see. Take regular breaks and stretch. When you’re at home, take time-outs from your phone, tablets, and other devices. Keep your head/neck in a gentle, neutral position. If your neck keeps being a royal pain, seek physical therapy to improve your symptoms. Although there can be many different causes for carpal tunnel syndrome, time spent on a keyboard can really irritate any potentially existing problems. Carpal tunnel syndrome is characterized by numbness and tingling in the fingers/hand caused by nerve compression, and is more common in women than men. 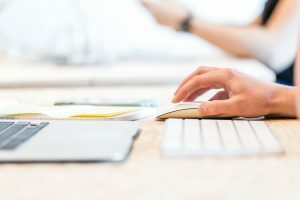 The Fix: Although surgery can be an option for carpal tunnel, for mild cases, you can try ergonomic keyboards, wrist rests, OTC wrist braces, stretching, taking breaks during work/exercise, and physical therapy. The particular type of light emitted by computer monitors, smart phones, tablets, etc can result in dry eye, eye strain, and irritation. For those prone to conditions like migraine headaches, extended periods of exposure to this light can also trigger severe headaches. The Fix: On many devices, there are settings to filter this “blue” light. For those who wear glasses, there are special coatings available to reduce this type of eye strain. Also, take regular breaks, and look at objects outside and farther away than several feet to help your eyes focus and reduce irritation. Back pain can have many causes, but sitting all day in your work chair often doesn’t help. Your work-day posture likely suffers the longer you’re at your desk, and your upper as well as your lower back can pay for it. The Fix: Work on core muscle strength. One simple way to do this is by doing regular planks (but maybe not in your office). Some people see improvements after switching to sitting on a yoga-style ball, instead of a typical work chair. You can also try an ergonomic chair. Take breaks from sitting at least every hour. If your back continues to give you trouble, visit your physical therapist for assessment and treatment to reduce discomfort. If you’re dealing with any of the above, or something entirely different, Body One Physical Therapy is here to help you get back to your regularly scheduled life. 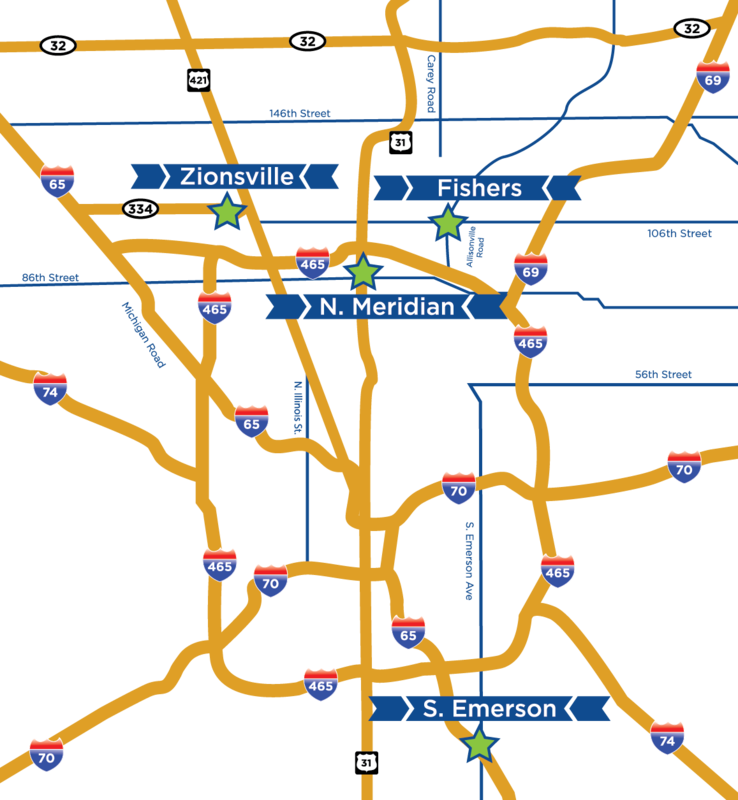 We’re locally-owned and operated, with four locations serving Central Indiana so you can find one that fits your needs: North Indianapolis, South Indianapolis, Fishers, and Zionsville. Our team of caring, specialized physical therapists works with clients of all ages and activity levels and we’d love to add you to our list of happy patients. Don’t wait to feel great, call us today!